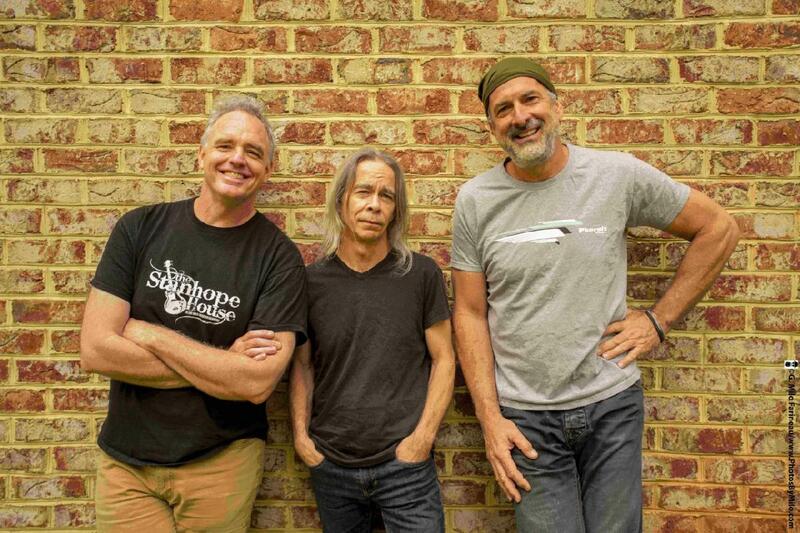 With a musical career spanning more than thirty-five years, guitarist and sonic innovator Tim Reynolds is known for his masterful command of melody and timing and for his uncanny ability to improvise on any instrument he touches. Having explored most musical styles, from rock, jazz and blues to classical and reggae, Reynolds’ wide-ranging musical versatility is evident each time he picks up his acoustic or electric guitar. Technically brilliant, yet emotionally honest, Reynolds’ music is inspired and authentic. 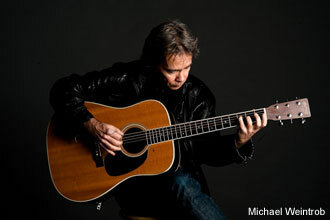 Tim Reynolds was born 15 December 1957 in Wiesbaden, Germany, to devoutly religious military parents. He had a peripatetic childhood, moving from Alaska and through much of the Bible-belt Midwest, eventually settling in St. Louis, MO. His musical introduction began at age eight with piano lessons, but he quickly progressed to playing the acoustic guitar and electric bass guitar in the local church gospel band during his teens. 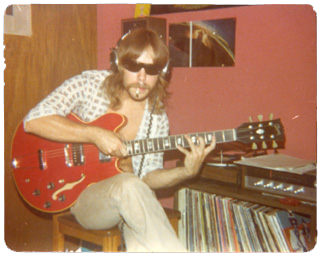 During this time he was also secretly experimenting and riffing with forbidden rock, funk and soul. Upon graduating from high school, Reynolds left the constraints of his conservative upbringing and eventually moved to Charlottesville, VA, where he explored his musical craft even further, adding psychedelic and progressive rock to his burgeoning repertoire of music.  It was in the mid 1980s that Reynolds founded his breakthrough electric power trio, TR3 (Tim Reynolds Trio), known for their fusion of funk, rock, and jazz. He toured with TR3 during the 1980s and 1990s, using a rotating cast of musicians. It was at this time he met and befriended Dave Matthews and their ongoing musical collaboration began. He eventually decided to disbanded TR3, relocate to Santa Fe, NM, and pursue his solo acoustic career. During the 1990s and 2000s, his musical progression continued throughout his many years on the road as a solo guitar wizard playing for packed houses and to crowds who quickly determined that he is one of the most talented and thoughtful musicians on the circuit today. After a number of years in New Mexico, Reynolds relocated to the Outer Banks of North Carolina in 2007. After a chance meeting with two talented musicians, bass player Mick Vaughn and drummer Dan Martier, a few rehearsals later, and several stealth appearances throughout North Carolina, Reynolds decided to resurrect the electric TR3. TR3 has been touring ever since, and in 2009 they released their first studio CD “Radiance.” A live TR3 CD is scheduled for release in 2011. He continues to surprise and delight his fans with rare acoustic performances throughout the country. Reynolds discography is more than prolific. He continues to release a large number of acoustic and electric CDs, from the widely-acclaimed “Stream” to his recently-released acoustic “The Limbic System” and collaborates frequently with other musicians on a number of side projects. Reynolds is currently lead guitarist for the Dave Matthews Band and performs as one-half of the acoustic Dave Matthews-Tim Reynolds duo. He has performed on nearly all of DMB’s CDs. Dan Martier: Drums, vocals With a musical career spanning more than thirty-five years, guitarist, sonic innovator, and two time Grammy nominee Tim Reynolds is known for his masterful command of melody and timing and for his uncanny ability to improvise on any instrument he touches. Having explored most musical styles, from rock, jazz and blues to classical and reggae, Reynolds’ wide-ranging musical versatility is evident each time he picks up his electric or acoustic guitar. Technically brilliant, yet emotionally honest, Reynolds’ music is inspired and authentic. 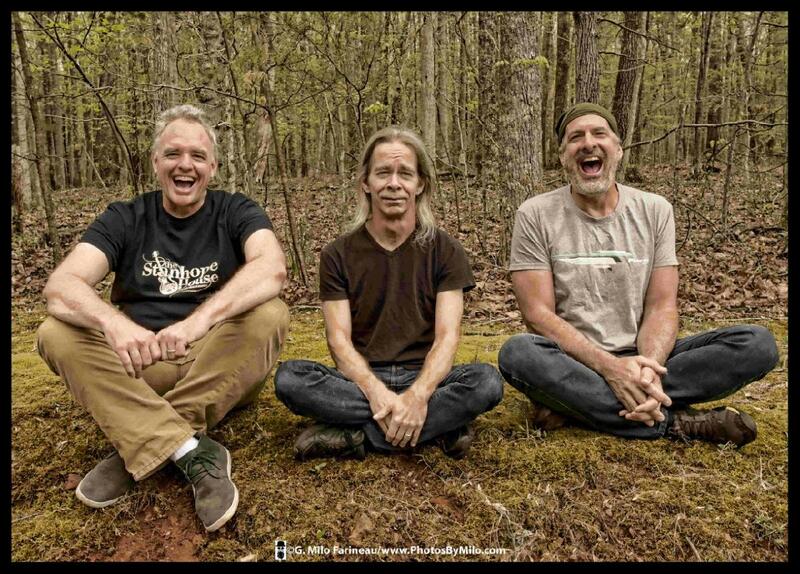 It was in the mid 1980s in Charlottesville, VA, when Reynolds founded his breakthrough electric power trio, TR3 (Tim Reynolds Trio), known for their fusion of funk, rock, and jazz. He toured with TR3 during the 1980s and 1990s, using a rotating cast of musicians. It was at this time he befriended Dave Matthews and their ongoing musical collaboration began. Tim eventually decided to relocate to Santa Fe, NM, and pursue a solo career. His musical progression continued throughout his many years on the road as a solo guitar wizard, playing for packed houses and to crowds who quickly determined that Reynolds is one of the most talented and thoughtful musicians on the circuit today. After a number of years in New Mexico, Reynolds relocated to the Outer Banks of North Carolina in 2007. After a chance meeting with two talented musicians, bass player Mick Vaughn and drummer Dan Martier, a few rehearsals later and several stealth appearances throughout North Carolina, Reynolds decided to resurrect the electric TR3 and they’ve been touring ever since. 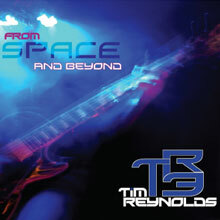 TR3 released their first double live CD, “From SPACE and Beyond” in June 2011. In 2009, their first studio CD “Radiance” was nominated for Home Grown Music Network’s Album of the Year. Electric, funky, operatic, edgy…their show is a mix of updated Reynolds’ classics to wild covers of everything from James Brown, Led Zeppelin, King Crimson and Focus to TR3’s ever-evolving catalogue of new material.